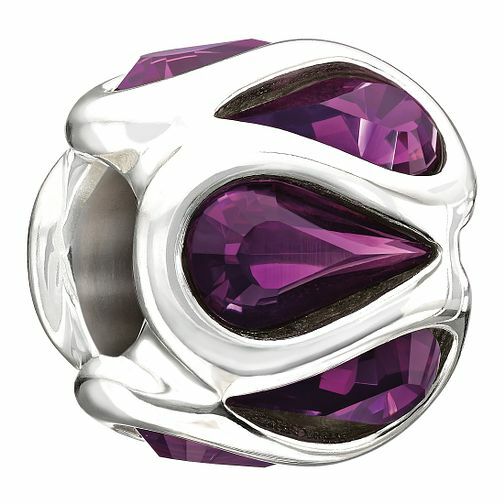 A shaped, sterling silver bead, set with rich amethyst purple coloured crystals made from Swarovski elements. Chamilia's extensive range of stunning beads allow you to form bespoke jewellery exclusive to you or a loved one. MADE WITH SWAROVSKI ELEMENTS.